SecurePoE is available from all good stockists. 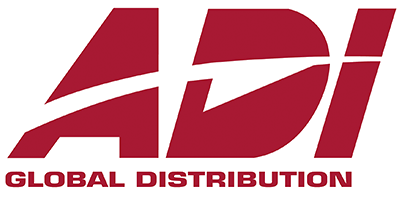 A selection of some of the approved distributors is listed below, simply choose the provider that best suit your needs to get started. We combine professionalism and knowledge of the market, together with good prices. Our principles are to give you the best possible service - to give advice freely when needed and to stock a range of products to satisfy every need. And we deliver free to you, on time and at the right price in local areas. Enterprise has grown from a combination of experience from within the industry, the value we place on every customer and the fact that we feel nothing is too much trouble - we care about your opinion of us. It is Pro-Vision Distribution’s constant aim to offer our customers quality CCTV equipment - on time, every time - at a price that’s right for both parties. Our philosophy is simple : the name Pro-Vision must always be synonymous with added-value that matches or exceeds the quality of the products we sell. Whilst remaining loyal to the branded products we distribute - we also strive to react swiftly to the customer demands and trends within our industry. Established in 1997, we are a dedicated and experienced specialist supplier of Access Control and Door Entry Systems to the UK trade market. We don't manufacture, export or install products, therefore we can put all of our focus into providing a quality wholesale service for you. We pride ourselves on excellent customer service, with our friendly and experienced team giving you the best advice and the right products at very competitive prices. With branches in Fareham, Poole, St. Albans & Chelmsford, we offer an extensive range of security products from the industry’s leading manufacturers of Intruder, CCTV, Access Control & Fire equipment. Now in our 20th year of business we have proven that our policies have been successful. So much so that due to the ever increasing demand for our products we have relocated no less than 4 times to larger premises. As a joint member of the PSG Group we endeavour to provide you with quality service, product knowledge and competitive pricing at all times. Our company was formed in 1993 with a branch in Glasgow and with hard work and loyal customers we now have additional branches in Scotland, England and Northern Ireland. This growth has only been possible through listening to our customers requests and giving them what they want to provide a service to their customers. Videcon is the home of the prestigious Concept Pro brand which boasts many key features of market leading products with extensive warranties. Launched in 1998, the brand now comprises of security products for IP, AHD and traditional analogue CCTV platforms. Videcon operates from its head office within modern 82,000 sq.ft. premises in West Yorkshire, which boasts a fully equipped demonstration and technical training facility that is open to trade customers on a daily basis. Hunters Wholesalers are suppliers of Wholesale CCTV, Security products and Alarm Systems to trade, retail and industry (including public). 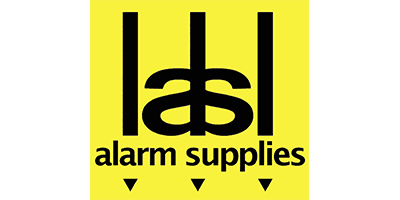 Due to our wholesale buying power and the unique relationships we have built with our suppliers, we are able to supply a range of security, fire and alarm systems and products at low prices to both trade and public. We also offer next day delivery across the UK and process orders to customers throughout the European Union & Worldwide.